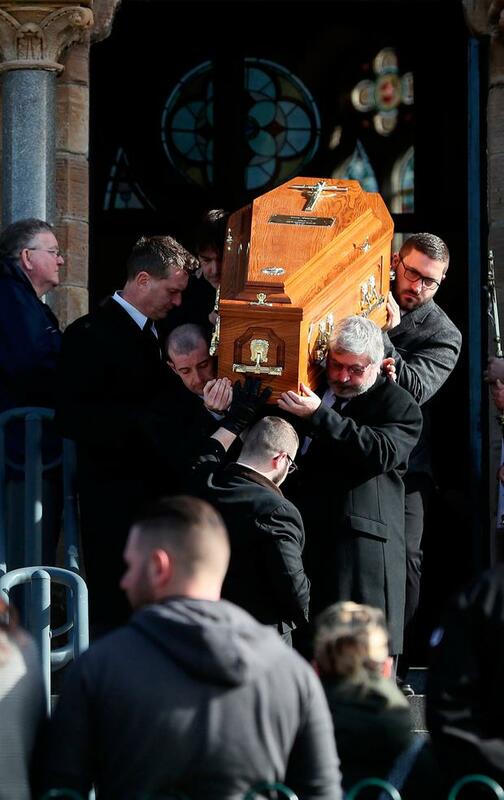 The coffin of Carlingford drowning victim Ruth Maguire is carried from Saint Vincent de Paul church, Ligoniel, Belfast, by her partner James Griffin (front left) and father Malachy (front right), following the funeral mass. A bride-to-be who died on a night out with friends last week, has been laid to rest. Ruth Maguire, a 30-year-old health assistant, who was due to marry her partner in August, was buried in her wedding dress. 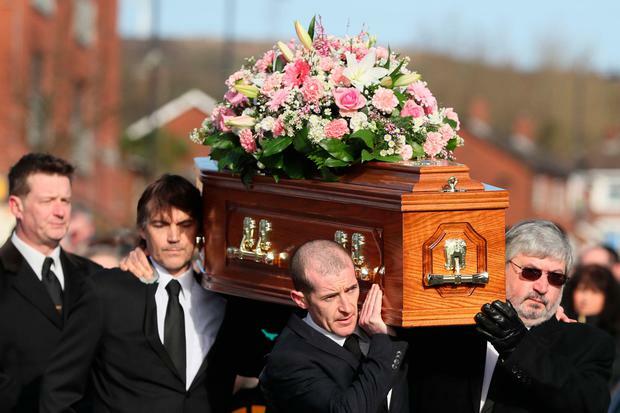 Ms Maguire's coffin, covered in flowers, was followed by her partner Jim and three children - Tyler, Lydia and Oliver - who were joined by hundreds of tearful mourners on their way into mass held in St Vincent de Paul Church in Ligoniel, north Belfast on Saturday morning.